Written by Rachel Bradshaw, Kyle Jacobs and Billy Montana, this moving song was released in September 2016 for Cancer Awareness month with proceeds donated to the cause between the dates September 9th and October 28th 2016. Philanthropist W. Brett Wilson, also played a role by matching the amounts earned and donating those funds to the Canadian Cancer Society. 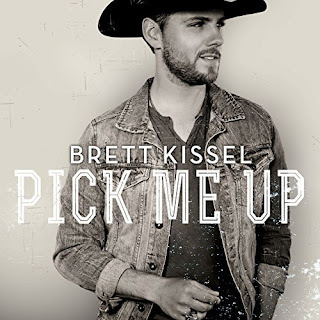 Like most songs do for the artist, it struck a personal chord for Brett Kissel; his mom has battled cancer. Battling cancer certainly goes deeper than potentially losing our hair. However, when the news hits us that we could be facing this horrendous fight, some of us think of this superficial thing...our hair. After first hearing this song blaring from the radio in my kitchen, the lyrics stopped me in my tracks. Listening to every word, the tears flowed. The song speaks to the love of one soul for another; it reminds us what true love means and that our body really is our temporary home. The cliche 'beautiful on the inside' has greater meaning when you process these lyrics. Love is an unseen force, yet the most powerful in the world. How do we know we are loved by another? We know because we feel this invisible energy. The feeling of love resonates in this gorgeous song. 'He didn't fall in love with her hair' - he fell in love with her soul, her being - This untouchable force survives all things tangible. We are reminded that our love for each other cannot be measured by something physical, like our hair or our body shape. Love is a connection that survives the seen. This intangible force captures our spirit, and in doing so, gives us the secret to life. We are all here perfecting that secret. Love is where we find the light and it's the only road that takes us home. Get out the tissues as you listen to this song. Barbara, once again you have found the perfect song (and a delightful singer) to portray your message..... that 'the love is inside'. Beautiful. As always, you have written a heartfelt review of a touching song. Barbara, what a beautiful song and the lyrics just pull at my heartstrings. Love is so much more than we give it credit for. Sometimes we need these reminders. Thank you! Having endured cancer first-hand, I can relate to wondering about my hair falling out. Funny how that's what so many people think of first (or at least second). This is an awesome song with such a perfect message. I'm glad to know this was released for Cancer Awareness Month. Great choice, awesome review as always.